Do you have experience working with other additions using the Big Book of Alcoholics Anonymous as your recovery text? If so, please share your experience with us and tell what terms and phrases do your substituted for Alcoholism, Alcoholic, Drink and Drinking. I have worked with all kinds of addicts. I keep it simple. I use "addiction" and "addict" as substitutes for alcoholism and alcoholic. I prefer "using" as a substitute for drinking when working with substance abusers. I use "acting-out" for non-substance abusers such as codependency. I also designate the different types of users by types–1, 2, or 3. Moderate users or Moderate Behavior I use the term "Type 1s". Hard users or Heavy Behavior I use the term "Type 2s" and for the real addict, I use the term "Type3s". So whenever we read alcoholic in the Big Book, I have the newcomer substitute the word with T3. This works for all and any addiction. This is a true definition of insanIty – doing the same thing over and over again and expecting a different result. 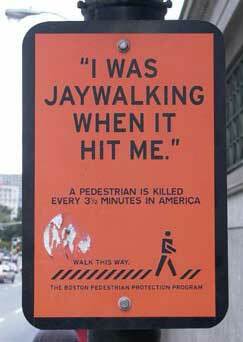 I am wondering who wrote the Jay Walker , we have a person at our group who is a self proclaimed ICON! This person says he has been around since the beginning of AA and even part of the Oxford Group he is claiming 56 years of sobriety and says he is 90 years old . Is there any way you could tell me who wrote the Jay Walker? Timothy: Do the math…if he’s 90 years old now in 2014, then he would have have been 16 years old in 1939 when the Big Book was published. It’s not likely he was the contributor of this story to the Big Book. Best to treat the old fellow with kindness and love…he’s probably losing some his mental abilities. I love and identify completely with The Jay walker. It really help my partner to understand the insanity and the predicament I was in. Thank you author, whom ever you are. I use the paragraph quoting here are some of the methods we have tried. Then I focus how I used drugs to treat my alcoholism because I’m a lightweight drinker. But I know I have the allergy to alcohol. It’s not about the substance it’s about my thinking. Ridiculous? It’s an extremely accurate portrayal of an addict. A drug is a drug. An addict is an addict. Alcohol, heroin, crack. Geez are we that rigid that we can’t change the word alcoholic to addict. Yeah we are, where addicts! The first symptom I display is my resistance to look at another point of view. That rigidity bugs me. People tend to forget the Big Book clearly states “Take what you need and leave the rest”. My road to sobriety is MY road to sobriety and won’t be exactly like yours. Stop trying to force me into thinking it’s your way or the highway. I like meetings but…sponsors, for me at least? Not so much. And I agree…an addict is an addict no matter what the substance or behavior.